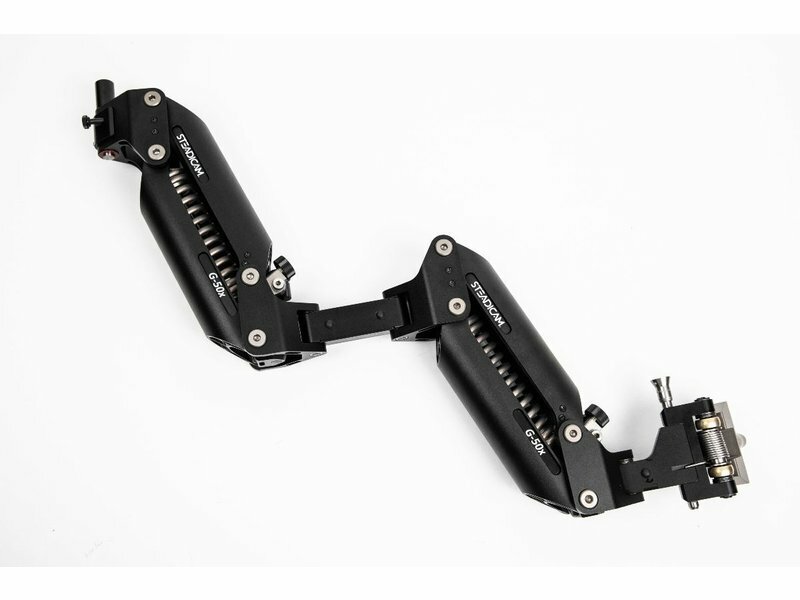 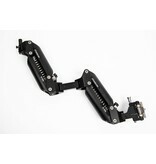 Steadicam G-50x Arm with Steel Connector and MS Post (811-7200-10). 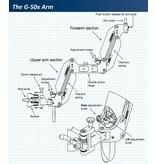 The G-50x is the second release of Tiffen’s G-Series arms. 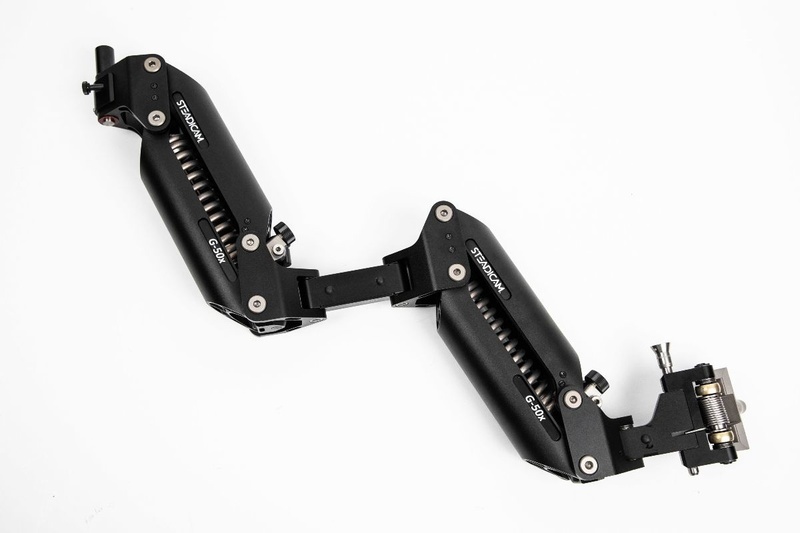 The revolutionary, patented Geo spring geometry optimizes performance throughout its lifting range. 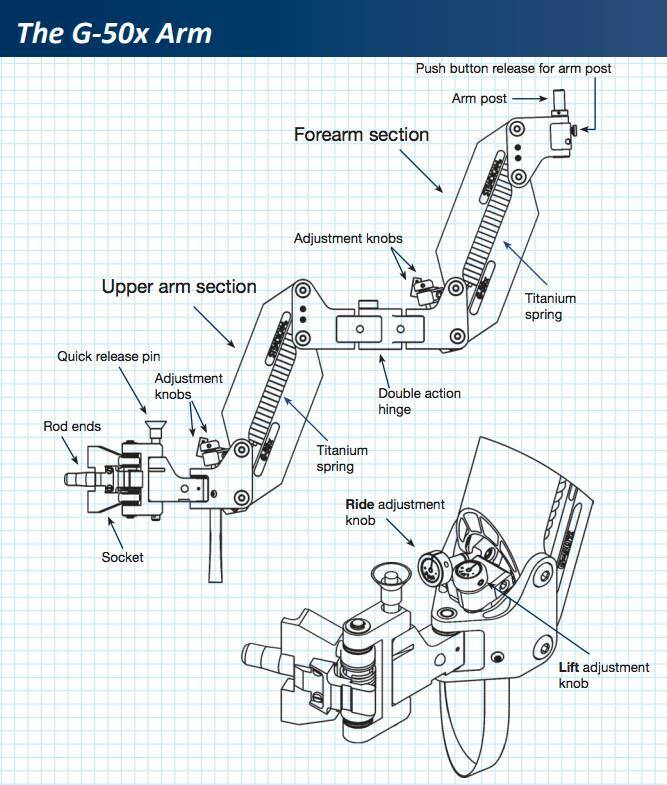 It tames high/low arm travel with adjustable-length crankshafts that dynamically rock the spring termination as the arm is boomed up or down. 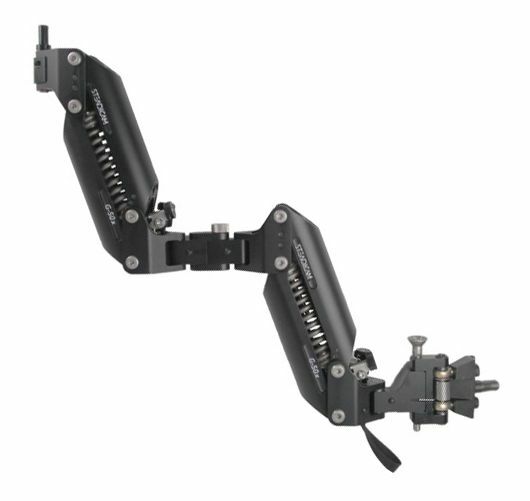 Powered by titanium springs, the G-50x arm smoothly carries any load from 12 to 50 pounds (5.4 to 23 kg). 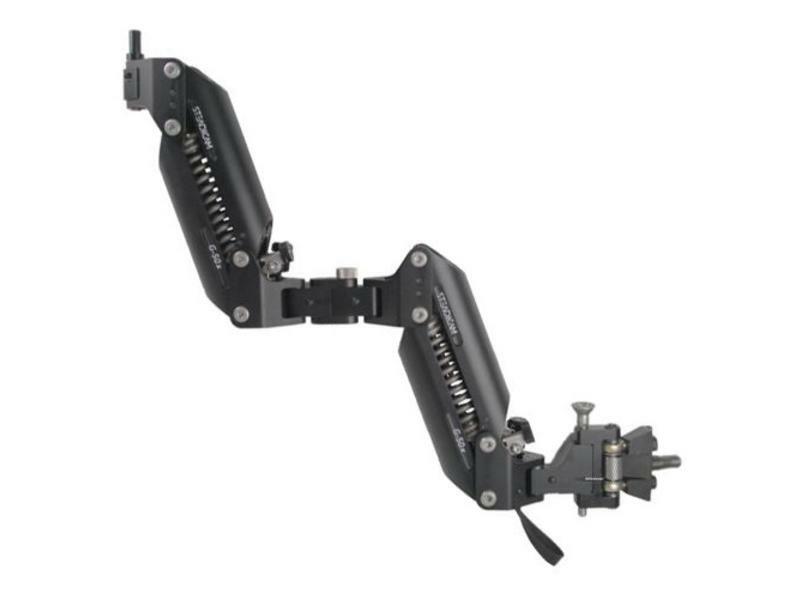 The all new bearing performance enhancements on the G-50x arm makes even the slowest camera moves ultra smooth.Light weight (8.6 lbs / 3.9 kg), user-maintainable, and a 29 inch (73 cm) boom range. 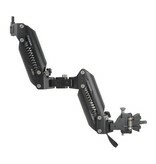 It has soft bumpers at each end of travel so the arm can be boomed right to its limits without shot-disturbing clunks. 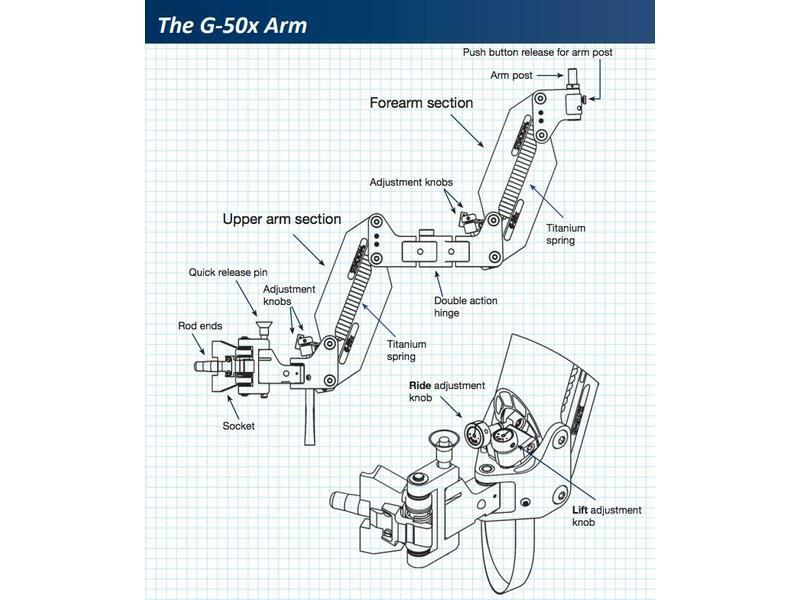 The G-50x also has a Ride control that adjusts the iso-elastic response of the arm.